lawn and use it for a garden—something I wouldn’t hesitate to do today. However, the next-door neighbor offered us the use of an empty yard between our houses. My mother, who grew up on a farm, sat up at night with me at the kitchen table, planning how to use that little space for gardening. Most of what I learned about what to plant (and not to plant) was the result of making mistakes. I began by planting herbs, tomatoes and corn, all neatly arranged in north-south lines with some pathways in between. I knew nothing about fertilizer, mulch or pest control and just planted what I believed would make the best garden, and I watched the results. Tomatoes grew well, too, but I learned that they just grew and grew—longer and longer—and only began to produce lots of tomatoes when I pinched back the stems so the branches would not grow as long. And, of course, these plants got tomato worms, which I just picked off and tossed to the birds. Corn was quite an education. It grew tall, and the ears formed. As they got bigger, they became infested with lots of ants, aphids and earwigs. In horror, I would take the hose and wash all the bugs off. This worked to some extent, because it was a small garden. That first season’s corn was a disaster: The ears were bug infested and half developed. I experimented with some natural pest repellants and made my own insecticide from a mixture of garlics and hot peppers that I liquefied in the blender and sprayed on the plants. I even added a little Basic H to the mix. I had some results, but I was still trying to grow crops in poor soil. "I LEARNED THAT … THE HEALTH OF THE SOIL IS THE SINGLE MOST IMPORTANT FACTOR IN PRODUCING PLANTS THAT ARE DROUGHT TOLERANT, INSECT RESISTANT ﻿AND ABLE ﻿TO SURVIVE IN THE GREATEST RANGE OF TEMPERATURES." In desperation, I studied all I could about natural pest control. I refused to use any of the various commercial liquid and spray insecticides (I still had fresh memories of an uncle who had to dress in what looked like a bee suit every time he went into his apple orchards so he would be protected from all the pesticides he sprayed on the apples. He eventually died of cancer). Shouldn’t farming and gardening be about life and not death, I wondered? Can’t nature take care of itself? Isn’t there a way to find a balance so that insects keep other insects in check? I knew, instinctively, that even in my small garden, nature could find a balance and that through natural methods, I could grow food and encourage good insects to eat the bad ones. Little by little, I learned that this was, indeed, possible. Some plants naturally grow in the dry deserts and are well adapted to surviving and thriving with little water. Do a little research to find out which plants are native to your area, and then determine if any of them can be used for food or medicine. Here are just a few examples of plants that will grow in desert and drought areas. Remember that there are special varieties that do best in arid areas. Also, the techniques you use will aid significantly in the success of these plants. Contact local nurseries for native and drought-tolerant plants that will do well near you. "I KNEW, INSTINCTIVELY, THAT EVEN IN MY SMALL GARDEN, NATURE COULD FIND A BALANCE AND THAT THROUGH NATURAL METHODS, I COULD GROW FOOD AND ENCOURAGE GOOD INSECTSTO EAT THE BAD ONES." Before you start buying various fruit trees and vegetables from a nursery, take stock of what you already have. What already grows in your yard with little care? Do those plants have uses? Investigate what is growing in your space, and you might fi nd that some of the vegetation is useful and valuable. WHICH PLANTS ARE NATIVE TO YOUR AREA? Find out what grows naturally in your area and talk to someone at a local native plant society to see what plants will grow “on their own.” As you look over a list of such plants, consider which ones would grow in your yard. Many local native plants can be used for food and medicine, and they are easy to care for. Make a list of what you already eat and what you’d like to eat. Some of the plants on that list will do well where you live, and some will not. How can you determine the difference? Start by talking with folks at a local gardening club or neighbors who have successful gardens. You’d be surprised to find that there are gardening clubs in most cities. When you start growing fruits and vegetables, observe which plants grow well and which don’t, as well as those that take a lot of work and attention. When you find plants that seem to love it in your yard and do well without much work on your part, grow those. One of the principles of agricultural ecology is that nature can take care of itself more easily the larger the plot of land happens to be. It’s a bit harder to have all these natural systems operating if you’re only dealing with a plot of land that’s about 40 by 20 feet—the size of our little garden. This meant I had to give the little plot a lot more attention, at least in the beginning, until “balance” was found. I learned that regardless of what I grew and where I lived, the health of the soil is the single most important factor in producing plants that are drought tolerant, insect resistant and able to survive in the greatest range of temperatures. My next experiment in that small yard was to go to the grocery store and get boxes of old produce. I dug holes here and there in the garden and buried the old vegetables so they’d decompose and enrich the soil. Simultaneously, I went to the local cemetery and obtained bags of grass clippings. of which would dry out a bit. However, underneath, it stayed moist, softened the soil and provided an environment in which earthworms and lots of other insects thrived. With the layered grass clippings on the ground, I noticed that the herbs and vegetables also thrived and grew well and that the insect infestation was at a minimum. In addition, I didn’t need to water as much. I continued to get as many bags of grass clippings as possible and mulched the soil. And I continued to bury old vegetables in the garden. I produced onions, tomatoes, Swiss chard and zucchinis, along with lots of herbs. I decided to skip the corn, because it still seemed to require more work than I was willing to do to keep it insect free. I’m not sure everyone would want to get boxes of old produce and bury its contents in their garden space. That was part of my learning. Instead, I suggest you keep a compost bin in your yard and begin to make your own compost from kitchen scraps and yard trimmings. It’s not that hard, and you’d be surprised how well you can supplement your soil from what you ordinarily throw away. Raise earthworms, which naturally enrich the soil. There are special bins you can buy to raise them, although I have always managed to do so in dedicated compost bins or piles. They cannot tolerate all the heat generated by adding a lot of kitchen or vegetable scraps at one time, so you need to raise earthworms separate from your main compost area. Gardeners generally use redworms for composting, because they reproduce rapidly and tolerate great temperature variations. "MOST OF WHAT I LEARNED ABOUT WHAT TO PLANT( AND NOT TO PLANT) WAS THE RESULT OF MAKING MISTAKES." A few years later, I lived in a little hilltop house in a hilly part of Los Angeles. I had an enclosed yard and kept some ducks there. I grew many vegetables—corn included. I didn’t use grass clippings, but I did maintain a compost pit in which I produced my own fertilizer from kitchen and yard scraps. I invited a tree pruner to dump his massive load of wood chips in my yard, which saved him the dumping fee at the local city dump. I used the wood chips to mulch every square inch of my garden. At night, I would put the hose in my corn patch and let it dribble out. My ducks would spend the evening there, because they loved to eat all the earwigs and other insects the water brought out. The corn grew tall and strong—this time, without all the insects I experienced in earlier corn patches. Perhaps the ducks served as my “insecticide.” Standing in my little duck-fertilized corn patch was like being in another world. It was like my own postage stamp-sized field of dreams, my own “Walden Pond.” My garden contained only non-hybrid varieties of vegetables whose seeds I could harvest and replant. These were also known as “heirloom” varieties. (At the time, I was not aware of how today’s farmers are captive to the corporations that produce the hybrid seeds—that widely touted miracle of “modern farming.” I was always disturbed about hybrids, whose seeds would not produce the same plant they came from.) I have always made an effort to use non-hybrid, or heirloom, seeds and will save some of the seeds for the next season, just as small farmers and families have done for centuries. Part of my garden grew the famed “three sisters” of the Southwest: corn, squash and beans. This “three sisters” type of garden is a common theme in arid Southwestern gardens, and its plants are easy to grow. I allowed the squash to sprawl on the ground as ground cover, keeping some moisture in the soil. I planted corn throughout the area. Once it grew to about a foot tall, I planted native beans nearby. (Bean roots “fix” nitrogen, meaning that the roots increase the nitrogen content for the corn.) The corn provided a trellis of sorts for the beans. You can see that it’s not out of your reach to create and maintain your own thriving garden, even in a survival situation. You can actually be very successful without the chemicals, commercial seeds and other “enhancements” you won’t have access to if things get really bad. With a little effort, experimentation and patience, you can confi dently become a self-suffcient urban gardener. Nurturing a plant indoors is one great way to liven up a home. Aesthetically-speaking, plants can become an all-natural decoration that can accentuate any room inside a house. For instance, living rooms can definitely look lovelier with an indoor blowing plant. Toilets and Bath meantime will have fresher air with a small indoor plant. Herbs meanwhile are best in the kitchen area as it is like hitting two birds with one stone – herbs are decorative, and at the same time it can be used in cooking. This article aims to help you decide on the indoor plants that are best for your home, taking into consideration your lifestyle, preferences, as well as needs. Plants may look complicated to nurture, but most of the time, once you got the right variety, they will thrive into your own home and lend more life to it. 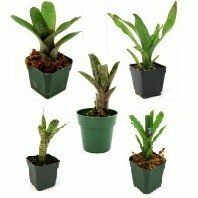 In fact, it literally breathes life to your indoor air as one of the main benefits of having houseplants is having a natural air purifier inside the home. Apart from providing you with a guide on indoor plants, we will be discussing the many benefits of having indoor plants, the different types and uses, as well as what you will be needing to plant indoors. Plants purify indoor air. Have you ever heard about indoor air pollution? Yes it is as detrimental as the air pollution we all know and breathe in when we get out of our homes. Fortunately for us, there are houseplants that can clean the air just by growing inside your home. In one of its web entries, WikiPedia mentioned about the National Aeronautics and Space Administration or NASA’s Clean Air Study that backs up the claim that plants clean indoor air. “The NASA Clean Air Study has been led by the National Aeronautics and Space Administration (NASA) in association with the Associated Landscape Contractors of America (ALCA). Its results suggest that certain common indoor plants may provide a natural way of removing toxic agents such as benzene, formaldehyde and trichloroethylene from the air, helping neutralize the effects of sick building syndrome…NASA researchers suggest efficient air cleaning is accomplished with at least one plant per 100 square feet of home or office space.” Read the continuation of this WikiPedia entry here. The best indoor plants for clean air are out there for you to nurture. Plants help prevent illnesses. Plants have so much life in them that they continue to nurture life around them too. Preventing sicknesses from striking a household member is one superpower every indoor plant has. Treehugger.com emphasized this fact in one article that they published, which discussed the benefits of planting indoors. “In the great outdoors, plant roots tap the groundwater table for water which then evaporates through its leaves in a process known as transpiration. Studies show that this accounts for about 10 percent of the moisture in the atmosphere! The same thing happens at home (minus the groundwater table part), which increases the humidity indoors. While this may sound unappealing during hot moist months, it’s a gift during drier months or if you live in an arid clime. According to Bayer Advanced, studies at the Agricultural University of Norway document that using plants in interior spaces decreases the incidence of dry skin, colds, sore throats and dry coughs. And other research reveals that higher absolute humidity is conducive for decreased survival and transmission of the flu virus.” Read the other benefits of indoor plants enumerated by Treehugger.com in their article here. Indoor Plants Help Improve Over-All Health. Plants do not only help prevent illnesses among occupants of a home, it also helps improve the general well-being of the whole family. “A small 1998 Norwegian study reported that workers had fewer complaints of fatigue, cough, dry throat and itching when they had plants in the office, and experiments in England and the Netherlands found that employees in buildings with plants were more productive, had better concentration and greater work satisfaction than those in bare offices. Two randomized controlled trials reported that surgical patients placed in rooms with plants reported less pain, anxiety, stress and fatigue than patients without plants. Over all, they had lower systolic blood pressure, were more satisfied about their rooms and felt more positively toward hospital workers. One of the studies reported that patients who had their appendix removed used fewer painkillers if they had plants in their rooms.” Read the other details of this article here. Indoor plants helps elevate the mood, increases chances of being happy, and helps in productivity. These three benefits may seem odd, and far-fetched, but yes – indoor plants carry with them these benefits to humans. Dr Chris Knight from Exeter University and his fellow psychologists, who have been studying the issue for 10 years, concluded that employees were 15% more productive when "lean" workplaces are filled with just a few houseplants, as employees who actively engage with their surroundings are better workers.” Check out the continuation of this article here. So get even a couple of small indoor plants and realize their uplifting benefits. Indoor plants improve a home’s aesthetic features. Plants can be decorative, and flowers can definitely spruce up rooms. Even the most minimalist of homes have a place for plants, and it will still be consistent with its theme. For instance Orchids give a romantic touch to any bedroom and they are easy to take care of. Inhabitat.com recommends this indoor flowering plants for the home. “Orchids have a bad reputation as being finicky and difficult to grow, but really, the opposite is true. On our last trip to Costa Farms, we learned that orchids actually love to be neglected and most people end up killing their orchids with kindness (too much water and sunlight). Aside from being easy to take care of, orchids rid the air of xylene—a pollutant found in many glues and paints—so they make wonderful housewarming gifts for anyone who recently moved into or renovated a new space. Unlike some other plants, orchids also respire and give off oxygen at night, so they’re great for the bedroom.” The continuation of the quoted write up can be found here. So what are our most recommended indoor plants for your home? Below are some of our suggested plants, plus a brief description on what it is best for, what it can do for your home and how much effort it will take for you to grow and nurture it. 1. Moth Orchid. Low maintenance, and highly aesthetic, this indoor plant known scientifically as the Phalaenopsis lends charm to any room in your home. It is one of the best indoor plant low light to nurture. 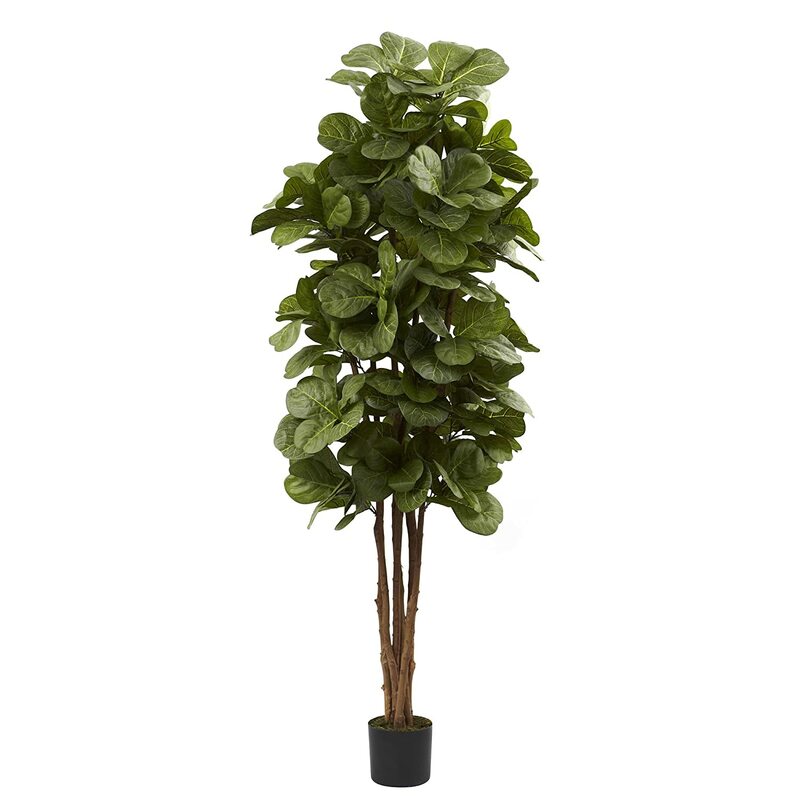 Fiddle Leaf Fig Tree. This indoor tree has been included in HGTV’s best indoor trees to grow at home. In its list of “13 Great Indoor Trees” it described how Fiddle Leaf Figs thrive, and how it can be nurtured. Bromeliads. 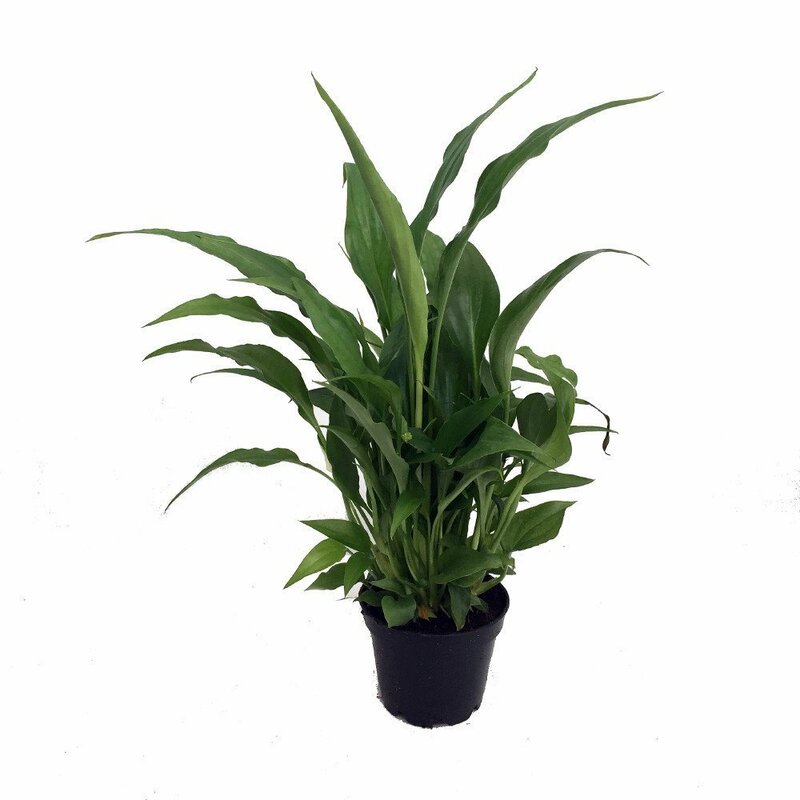 Are easy to grow and nurture and has been identified as one of the best indoor plants for air purification. A CNN article in fact highlighted this information about the Bromeliad. Peace Lilies. Spell elegance in your living area with Peace Lilies. Really perfect especially in all-white minimalist homes. The Spruce assures it is not as high-maintenance as it looks. Aloe. Very useful and at the same time great to look at. 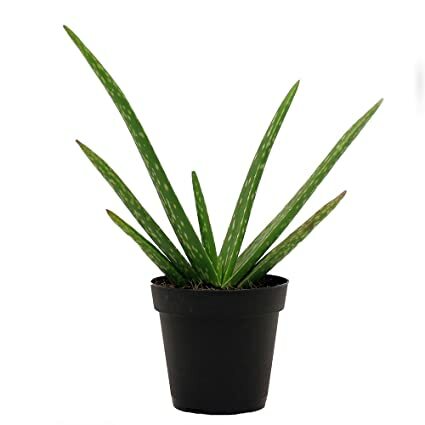 Aloe Vera is a plant that helps beautify the surroundings, and your skin too! It is even helpful in abrasions, bruises, and minor burns. HGTV.com says this about the Aloe, “Aloe (Aloe vera) is best known for its plump leaves that can provide a soothing gel for cuts and burns. 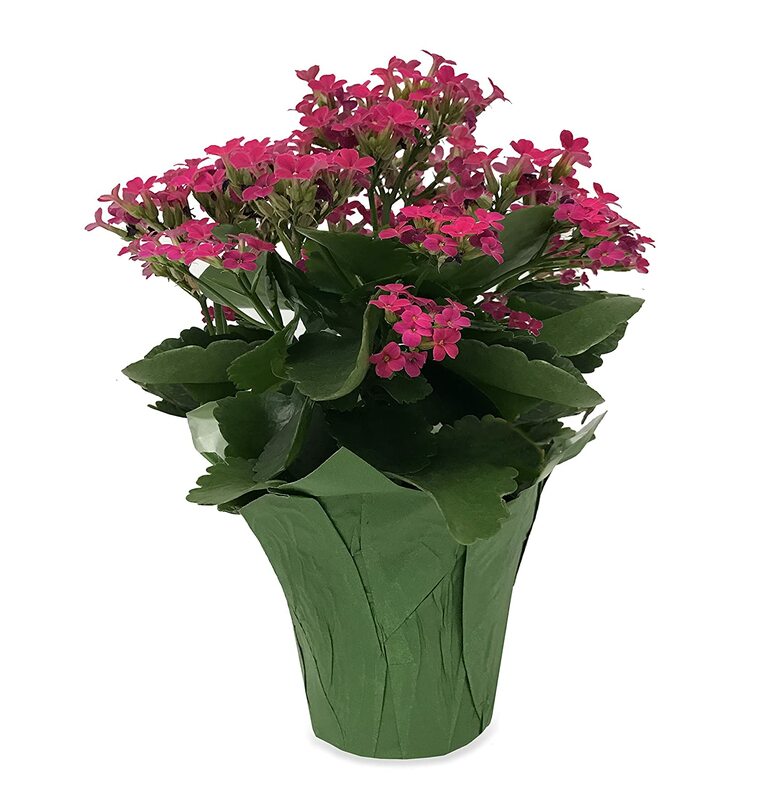 Allow the plant’s soil to dry completely in between waterings; depending on the humidity of your home that may mean watering as little as every two to three weeks.” It really is an easy indoor plant to nurture. Snake Plant. 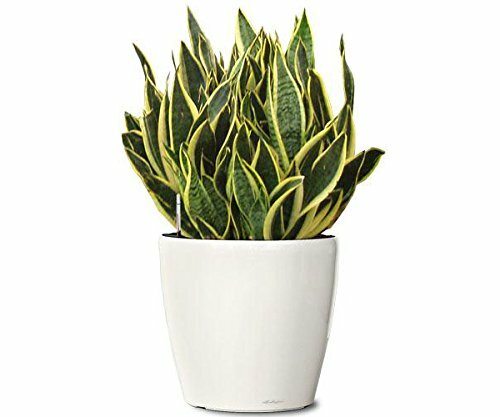 Almost every list of best indoor plants to grow have the Snake Plant on it. It is incredibly low maintenance, and does not need a lot of sunshine and plenty of watering. Housebeautiful.com included this plant on its list of plants that do not need a lot of sunlight to be propagated indoors. “While the name is fun, this succulent is pretty tame (read: easy!) when it comes to maintenance. More light will help it grow, but it can tolerate darkness — just watch out for root rot caused by overwatering.” Read about the other plants in Housebeautiful’s list here. Kalanchoe. This indoor plant looks like a bunch of little adorable flowers that spring up inside the home. Choose the indoor plant that will suit your lifestyle. Are you always out of the house? Then choose a plant that will survive watering for every couple of days. If you are busy and you tend to forget things, then get one that does not need extra care such as pruning, fertilizing, and too much watering. Decide where to plant it before buying one. Aesthetic wise, and sunlight wise, homeowners should consider where to situate their plat pot or plant box. There are plants that can grow with not much direct sunlight, so take that into consideration when picking a houseplant, and choosing where to place it. Do not get intimidated. A bit of reading on the plant that you are growing will definitely go a long way. Familiarize yourself on how the plant will thrive, and surely this living thing will thrive in your own home. You do not need a lot of tools and supplies. Often times those who are considering to care for a plant get intimidated with what the plant may need. The gardening equipment which may look foreign to a first-timer, as well as plant vitamins, sprays, pesticides and fertilizers can be overwhelming for a gardening newbie. Do not get intimidated. Watch a video about the plant, or read up a bit about it. In reality, all your plant needs is your care, plus some watering if it is the really, really low-maintenance type. Enjoy your plants. Plant owners will never turn out into hobbyists and gardening enthusiasts if there is really no joy in planting. Planting is beneficial, and it is fun if you really are interested in it. Savor the joy of having it in your environment and experience its many benefits. Do not over water. This may be a problem when you have over-eager children who would like to water your plants X times a day. Find a plant that will enjoy such attention. For those that you like but require drying times in between like Peace Lillies – transfer them into a place that is out of your children’s reach. Indoor house plants are a joy to nurture when one discovers the happiness in caring for plants. Learn more about the plants that you wish to nourish. Enjoy caring for them. Let the plants send the good vibes back to your home by purifying your air, and making your home space even more attractive and relaxing. Choosing to use natural pest control for the garden is a great way to ensure a safer environment and an even more sustainable gardening. Natural pest control after all, does not have dangerous chemicals that can pose health risks to the user, the plants, the family, as well as its pets. Moreover, natural pest control for the garden is also a more affordable alternative compared to buying store-bought chemical based plant pesticides. Some ingredients in fact can be found at any home’s pantry, and are very easy to mix up. Other methods meanwhile just involve attracting other insects by taking advantage of companion planting. Netting and barrier methods are also natural ways to remove pests from the garden and the plants. More importantly, choosing natural pest control methods also ensure that herbs, fruits, and vegetables harvested from one’s own garden or mini orchard, are all safe to eat. This article aims to share the many benefits of going the natural way when it comes to controlling pests in the garden. What pest control methods are available for your garden, specifically for flowers, fruit-bearing plants, vegetables, herbs, and the whole garden in general. Lastly, we will giving you some tips, as well as simple recipes and solutions that will help you start off with natural pest control in your garden. It is safe for the user and his whole family. Handling chemical based pest control solutions can pose a whole lot of dangers to the health of the one doing the gardening and his whole family. In fact, with young children around, it can be very dangerous to have these highly toxic preparations. Natural Pest Control is definitely the way to go, if you are aiming to have a toxic-free household. It is safer for the environment. Store-bought pest control can end up in water sources like rivers and streams, polluting the environment. Its production also makes up for carbon footprint, unlike natural pest control solutions that usually makes use of recyclable containers and the like. For companion planting, and usage of other insects as predators it helps promote an even better eco system. It makes for healthier food. If you are planting your own herbs, fruits and vegetables, using natural; pest control definitely is a great way to ensure that you are not feeding anything toxic to your family. It is gentler for the plants. Chemical-based pest control solutions may be too harsh on the plant. Natural pest control definitely is so much better because of its non-synthetic composition. Better for household with pets. Pet safety is also one great advantage of using natural pest control. Pets can hang out in the garden and sniff or even lick these dangerous chemicals. Some pets unwittingly chomp on plants, and even eat fruits or vegetables in the garden. Make sure that your pets are safe by using natural pest control methods in getting rid of pests in your garden. It is cheaper. All-natural means it is (almost) readily available to most households. Who does not have garlic, citrus fruits, chili powder, oil, liquid soap and bicarb in their homes? Trust that your expense will be way lower when you switch to all-natural pest control solutions instead of the store-bought ones. 2. Usage of home-made, natural-based pest control solutions. There are a lot of Do-It-Yourself recipes for pest control solutions that are shared over the internet, and found in gardening books. Take advantage of these because they do not only come cheap, they can also be as effective as their chemical-based counterparts. Ladybugs. These insects help much in getting rid of aphids, whiteflies, mites, among other pests that may infest your crops. Plant celery, carrots, or parsley to encourage them to stay in your garden and protect your other crops. Praying Mantis. Although they can naturally occur in your garden, these insects are usually bought from online catalogues. This is one of the most effective est predators since it loves to feast on almost any type of plant insect and pests. Lace Wings. Lace Wings kill as well aphids that destroy plants. It also combats other insect-pests that may infest your healthy plants. Lace wings can be invited to your garden by planting flowers like Asters. Nematodes. If you want to get rid of beetles and cut worms, then attract nematodes into your garden. These insects are usually bought from online catalogs. How it works, you ask? It works by laying eggs that should be mixed on soil, which in turn will act as a natural pest control to fight off cutworm and beetle infestation. Using Barriers and Insect Traps. These methods may seem old school, but they do work. For instance, nets can prevent fruits and vegetables from being eaten by insects, and feasted upon by other pests. Fly and sticky pest papers meanwhile trap pests that could ruin flowers, fruits, leaves, and vegetables. Traps meanwhile work for maggots that invade fruit-bearing plants and trees. 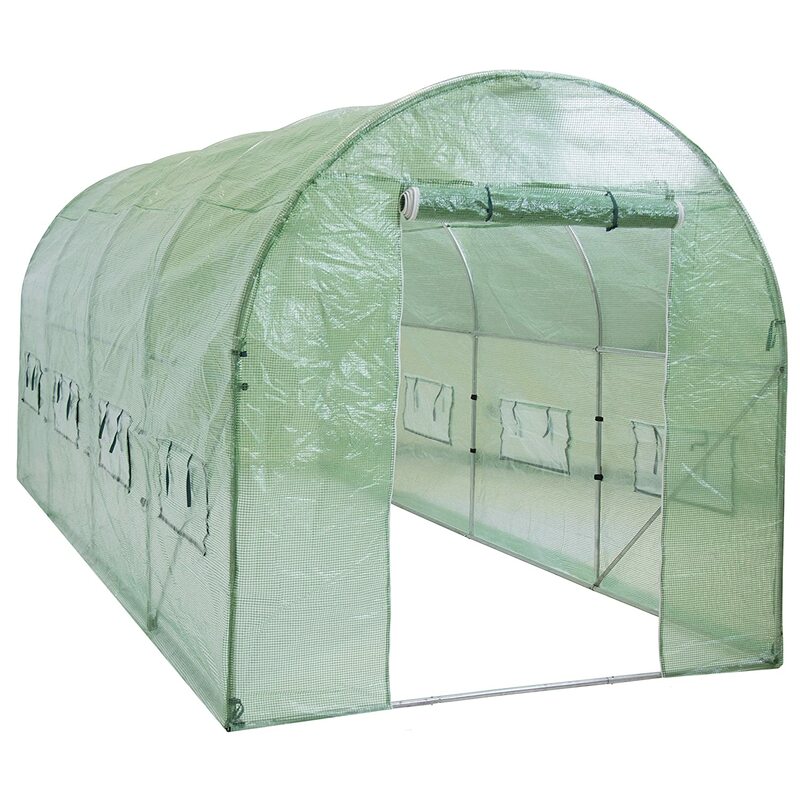 Row Covers, paper covers and the like meantime act as a barrier against pests that defend grown plants, or even seedlings from getting infested. As mentioned, there are a lot of options when it comes to natural pest control for gardens. All you need is to determine which one you will be most comfortable to use, and what will work for your garden. Bear in mind though, that for do-it-yourself all-natural solutions, the shelf-life of these chemical-free pesticides are not as lengthy as those that are bought in stores. Take note of the refrigeration and usage guides, as well as the date that it was mixed so as to ensure its effectivitiy. Best Natural Pesticides for Vegetable Gardening. Garlic is by far the best natural pest control ingredient to help stop pest infestation on your vegetables. Blend a whole garlic bulb into half a liter of water. Add the blended garlic solution to a gallon of water, strain, and then transfer on a recycled sprayer. Use this on leaves of your vegetable plants and you will agree that it is one of the best natural pesticides for vegetable garden. Best Natural Pest Control for Flowering Plants. Oil Insecticide is a great chemical-free insecticide to use on flowering plants. What it does is it coats the body of whatever insect or pest that decides to infest a flower. The oil then prevents the insect from breathing and fully functioning, killing them instantly.Mix a cup of any oil available in your kitchen, mix with a tablespoon of powdered detergent or liquid soap, and then mix. This will be your base concentrate. Every time you will need to spray, mix up 10 ml of the concentrate to a quart of water, transfer into a spray container, shake and spray accordingly. Best Natural Pest Control for Fruit-Bearing Plants and Trees – bearing plants. Neem Oil is hands-down one of the most effective natural pesticides for plants, specifically for fruit-bearing trees and plants. It is the choice pesticide of those that are working on organic produce because it can kill insect-pest regardless if it still an egg, a larvae, or an adult insect. It is non-toxic and is a natural fungicide. It is also a mildew killer. It can also be used as a preventative solution when sprayed unto foliage. Just mix a tablespoon of neem oil, a teaspoon of liquid detergent or hand soap, and a quart of water. Shake and spray unto leaves. This pesticide is safe for humans, as well as pets! You do not have to rush to your nearest plant store to make your own natural pesticides. Just open your cupboard, or even your household supplies cabinet and you will be faced with an arsenal of chemical-free ingredients that you can use as pesticide in your garden. Apart from the above-mentioned “best of the best” recipes, here are five other effective chemical-free pesticides you can use in your garden. Steep a crushed garlic bulb, a tablespoon of any type of oil, two tablespoons of chili powder, and a tablespoon of liquid soap (baby soap is best), and dilute in a quarter of water, shake and spray. This can be used on all plant surfaces to repel insects. It is also a great natural insect repellant for homes. Just make sure that you do not touch your eyes after spraying, and instruct children to stay away from it too. Organic Castile Soap can be a very effective spray to ward off aphids, mites, bugs, and beetles from infesting your plants. Just mix two tablespoons of liquid castile soap in whatever scent or flavor you wish. Mix into a quart of water, shake and spray. This is not only good for preventing mosquitoes inside the home, it can actually prevent insects from infesting plants! Simply mix two teaspoons of eucalyptus oil into a quart of water. Mix and spray. This will be very useful against bees, wasps, as well as other flies that may surround fruits and vegetables grown in your garden. No wonder it is one of the more popular natural pest control methods known to organic gardeners. Are spiders taking over your garden? Worry no more. Add a tablespoon of rock salt or sea salt into a quart of water, dissolve, mix, and spray on plants. Natural pest control companies use sea salt spray to ward off these eight-legged critters. This mixture will ensure drive away ants, roaches and slugs from your garden. Simply mix four tablespoons of orange-flavored Castile Soap with six tablespoons of orange oil and a gallon of water. Shake thoroughly until well blended, and then spray accordingly. It can also be used as natural home pest control, particularly in the kitchen which is usually infested by ants or roaches due to food bits and droppings. Choosing to go chemical-free is very beneficial to your health and safety. It is a great way of staying away from preventable illnesses brought forth by using synthetic ingredients that can be toxic to the whole household including the pests. Moreover, natural pest controlling methods are friendly to the budget and the environment, and brings out the resourceful person in you. Before heading out to buy chemical-based garden pesticides, try first to go natural and witness that it can be as effective as its store-bought counterparts. Moving on to a new home, or finally deciding to set aside a garden area in your current one will definitely bring on the need to decide on having a grass to grow in your yard. After all, grass is the bed that will be the back drop of the many plants, flowers, trees and shrubs that you will be planting in your lawn or garden. After deciding on the grass to grow, and allowing it to thrive comes the part when you would have to trim and maintain. Like any other plant, grass needs to me maintained so that it could retain its lushness, color, and the life it spreads unto the whole garden itself. But when do we cut new grass? How do we perfectly maintain it without back-breaking and time consuming effort? This article aims to help you with maintain a lush grass turf in your lawn, garden, or backyard. We will be discussing when to cut new grass, plus other questions you may have when it comes to grass maintenance such as what could happen if the grass in your lawn is not routinely maintained. We will likewise be sharing with you some tools that are available to help you maintain your lawn without having to slave over gardening. Lastly, we will impart some tips on how to keep your grass patch healthy, thriving and vibrant. Generally, newly planted grass can already be cut or mowed once it has reached three to four inches in height. Having said that there are limits of course on how much one can cut in terms of the grass blade’s remaining length in the patch. Ask any experienced gardener or lawn mowing service, and he will tell you that the rule of thumb is to always, always retain two-thirds of the grass blade when mowing or cutting grass. This means that you should only cut about a third of the blade’s current height such that it can maintain its health and lushness. Even if it means having to mow the lawn every week, it will still be in your best interest to retain such grass height because any height shorter than that may prevent the grass from growing healthily. Besides, grass cutting should be done at least on a weekly basis to prevent weeds from growing, so better adjust that mower to retain the said height when cutting grass, and allot time to do the mowing. What can happen if the grass will not be cut regularly? Well, leaving your grass patch growing on its own without maintenance in the form of routine cutting or mowing would leave it unsightly. Overgrown grass does not look lush and gorgeous, bringing the overall look of your front yard or garden down, instead of accentuating the whole picture. More importantly, an ill-maintained grass patch would lead to under nourished grass. Why? Because nutrients will fail to reach its roots easily and at the same time, sunshine can be blocked by the blades of over growing grasses. It basically makes the whole patch weaker, unhealthy, and very much susceptible to plant diseases. When this happens, the grass can die, and it would mean another expense to have it revived, or worse replace it with new patches. Weeds can also take over the lawn when the grass is left to grow on its own without regular maintenance and cutting. Moreover, it can damage your lawn mower or grass cutter because too long a grass blade can jam up the mower’s blades. What can be done to maintain a healthy grass patch? At the end of the day, it all boils down to time management. Caring for one’s lawn requires an investment of time and money. It is not a walk in the park at all. Some choose to invest on gardening tools and equipment that will help lessen the time that they spent maintaining their garden and at the same time lessen the effort that they have to exert. Not all homeowners though may have the enough budget to finance power gardening tools that will make life easier. Some hire a lawn mowing service, which is of course a perfect scenario, but not everyone may have a room in their budget for that. So does this mean that an ordinary homeowner should slave for hours in the lawn or the garden? Not Really. One just has to dedicate a specific time every week to mow the lawn or cut the grass so that it will not overgrow, be unhealthy, and maintain its lush and vibrancy. What are the basic tools available to help in cutting and maintaining grass? Grass Cutter – Every home with a garden or lawn must have a grass cutter. Yes it is old school but it does its job well especially for areas that cannot be reached easily by a lawn mower. Lawn Mower – Lawn mowers have evolved so much such that, mowing one’s front yard will not require too much time and effort. Basic lawn mowers can be push propelled and could either be rotary or cylinder type. Some leave the trimmed grass on the ground, while other versions have a grass catch which saves up so much time because one no longer has to rake and bag the trimmed grass. It can go from mowing to dumping which is very convenient. Some lawn mowers are still manual or push propelled, while others are fuel-propelled. Either way, it helps a lot in maintaining a healthy looking lawn. Grass String Trimmer – For those who are taking their landscaped area seriously, one can purchase a string trimmer. This one can cut grass in the corners or very narrow surfaces that a mower cannot reach. It can also be great for overgrown grasses since too long a grass blade can jam up mowers. Edging Shears – Meticulous homeowners with carefully-manicured lawns use edging shears to clean up the edges of the growing grass. This makes the whole lawn or grass area neater and better looking. Rake and Besom – This helps in removing cut or trimmed grass from the grass area such that the whole turf would look clean and lush after mowing. It would also ensure that the grass can breath and receive all the nutrients from the water, soil and sunshine that it needs to grow healthily. Now that you already know the basic tools for turf maintenance, then here are some ways to keep grass healthy and growing lushly. Trim regularly. As mentioned earlier in this article, the rule of thumb is to mow the lawn at least once a week to ensure that the grass will not overgrow, and to prevent weeds from growing. During the summer months when grass growth slows down, regular mowing can be done every 10-14 days, but do not go two weeks without cutting. Mow Carefully. Always observe the right trimming height for the grasses no matter how quickly it grows. It will be better to mow more often, than have unhealthy looking grass that would die and dry up in time. Regularly water the grass. Ensure that the grass gets adequate nutrients and hydration from regularly watering them. If you do not have the time to manually water the grass or the lawn, have a sprinkler that can be programmed to water the whole lawn at least once a day, or twice during the summer months. Invest in fertilizers. Yes it may stink, but fertilizers allow grass to grow healthily. It will speed up the growth and adaptation of newly planted grass, and it can ensure the whole turf’s great health. Get Rid Of Bugs And Pests. Yes, bugs and pests can pester the life of your otherwise healthy patch of landscape. Control their growth by using pest control and bug sprays before they take the life out of your turf. Get rid of the growing weeds. Do not allow weeds to take over your lawn. Do this by regularly maintaining your garden or lawn through mowing and grass cutting. Take out visible weeds to if you can and you have the time. Otherwise, treat the whole turf with a weed killing solution if need be. To ensure that the grass will grow healthily, and the lawn will look carefully maintained, dedicate time to regularly trim and mow your grass. Ensure that you only trim one-third of the grass blade’s height for it to continue growing healthily. Invest as well in tools and gardening equipment that will make your weekly lawn maintenance routine a breeze, and something that you can really enjoy doing. Ensure hydration, use fertilizers, and weed and pest control if need be. Lastly, always remember that great things need time and effort. Going home to a lush and vibrant lawn is one of those things. A Backpack Sprayer is an essential gardening tool meant to ensure that herbicides and other gardening formulas reach the plants, flowers, and trees in the garden without requiring too much effort from the gardener. Apart from making the gardener’s life easier, it also helps ensure safety while working in the garden by not exposing him too much on herbicides, fertilizers, and other chemicals or gardening solutions that may endanger his health. There are manual and battery operated garden pumps, and both have corresponding advantages and disadvantages. Piston, diaphragm, and battery operated, and gas powered pumps abound the market today, aiming to ensure a better gardening experience for any enthusiast. This guide aims to help you choose the most appropriate backpack sprayer for you considering your needs and preferences. We will be discussing the various benefits of using a backpack sprayer, who stands to take advantage of these benefits, the factors one has to consider in purchasing a backpack sprayer, plus our comparison table on the high-rated backpack sprayers in the market today. Who will benefit from a backpack sprayer? Home gardeners with a lawn, and a sizeable garden (as opposed to pocket gardens), mini orchard, hobby farmers, as well as those who operate a small business related to farming, gardening, pest control, and home cleaning treatments. As you can see, backpack sprayers are not just solely meant for gardening, it can also be used for other activities such as home disinfection, cleaning, pest and mildew control and the like. Backpack sprayers allow home gardeners and hobby farming enthusiasts to spray a bigger lawn, farm or garden area without having to go back and forth to refill tanks. Backpack sprayers somehow help in minimizing the user’s exposure to harmful liquid and powdered gardening mixtures and chemicals found in fertilizers, herbicides, pesticides and the like. It can also hold even more harmful chemicals like bleaching and disinfecting solutions which can be targeted properly. Backpack sprayers make spraying more targeted on flowers, shrubs, trees and other garden plants, helping the garden or small farm owner save on expenses. Backpack Sprayers have multiple uses and are very versatile when it comes to the applications where it can be utilized. Apart from gardening and hobby farming, it can be used in deep cleaning a home or a small commercial space, it can likewise be used in home treatments for pests, as well as mold and mildew. Some modern backpack sprayers are designed to be ergonomic, lessening the strain of carrying and repeated spraying motion on the gardener as he works in an area. There are a lot of types and brands of backpack sprayers in the market, such that it can be quite challenging to narrow down choices and pin point which one to purchase. For the inexperienced when it comes to back pack spraying, it will be helpful to know what features to look out for before making a purchase decision. Main Objective. This is the foremost factor to consider when picking the right backpack sprayer to suit your needs. You must know your objective when buying a backpack sprayer. It is important that you know why you are buying, what applications you will be using it for. Type of Chemical to be used. There are quite a number of chemicals that are used in backpack sprayers and some could be corrosive. While the usual Piston-Style pump can be greatly pressurized, it is not meant for abrasive solutions and harmful chemicals found in some herbicides as these can contribute to its corrosion. Powdered formula likewise cannot be used on Piston-type pumps. Type of plant to spray on. When one needs very targeted applications, then Piston-type pumps can be very useful. Targeted applications ensure that the chemicals and liquid gardening or farming formulas are absorbed by the plant. Moreover, it helps in efficiently dispersing chemicals. At the same breath, wide spraying such as those in weeds, may be great for diaphragm type sprayers. The area where the backpack sprayer will be used. The bigger the area, the bigger the capacity of sprayer one will need. A bigger-capacity backpack sprayer will be more convenient for the user since he will not have to go back and forth refilling his tank with liquid or powdered spray formulations just so to cover the whole lawn, garden, farm or mini orchard. The caveat here though is If one gets the biggest tank available, the tank’s weight can strain the body in the long run. The Budget. People have unique budget considerations when it comes to purchasing any product. The good news is that there is a good sprayer for every price point. Of course it will depend on where the sprayer is manufactured, the materials used and the durability. A good trick in finding the best sprayer for one’s budget is to determine the amount you are willing to pay for, and then find the sprayers in that price range. Preference for Manual or Battery Powered Pump. Of course manual pumps are cheaper but repetitive movements may cause strain after sometime. Battery powered pumps are very convenient to use but depending on the battery capacity of the pump it can be quite disruptive when the battery runs out prior to completing the spraying activity. It is important then to make sure that the battery capacity can last the same time it will be used. Weight and Capacity of the tank. Back Pack Sprayers are usually sold in two, four and six gallon volume capacity. If you have a small garden then a two gallon back pack sprayer tank can be a good choice. The maximum capacity tank of six gallons meanwhile can help ensure that you will not be refilling every now and then, but then carrying a back pack that heavy can strain one’s back and be achy to the whole body. Moreover, it may constrain the user to use more spray liquid than what is really needed. Length of time a backpack sprayer will be used per session. This will determine the capacity, and battery power requirements of the back pack sprayer about to be purchased. Ease of Use. One has to try on the backpack sprayer or at least check out web videos of reputable reviewers on how to use the backpack sprayer and how easy it is to put on and operate. Comfortability. Ergonomic design is a huge plus when it comes to choosing the right back pack sprayer. Imagine having something on your body the whole day? Of course it would be best to choose one that will not strain your back, neck, and hand muscles. Thankfully, there are a lot of Backpack sprayer manufacturers that have considered this feature. Special Features. It would be best if the Backpack Sprayer of your choice comes with added or special features that will increase usage convenience. Some have extra nozzles that have varied use, some come with extra parts or extended sprayer hose. Field King Professional 190328 is one of the most recommended backpack garden sprayer in the market today. With the many features and design that has the comfort and convenience of the user in mind, the Field King Professional is definitely one of the best finds in the market. It boasts of a no-leak system that keeps chemicals away from your skin and at the same time keeps your clothing dry. It is made of very durable parts, and those that require regular replacement, can be fixed within minutes without using any tool or equipment. It is ergonomic too ensuring an even weight distribution, relieving the wearer of back aches after the procedure. It can spray gardening solutions up to 150 PSI, which is very useful for hard-to-reach plants, and plant parts. This professional backpack sprayer comes with a poly-wand that has poly tips that are adjustable. It comes with multiple nozzles that have adjustable tips. The large pump enables the Stanley Professional Backpack Garden Spray to pressurize in less time even without too much pumping. This four-gallon capacity backpack sprayer provides comfortable wear as well given the comfortable shoulder straps. It promises a fatigue-free use even for an extend time in view of its ergonomic carrying straps for a strain-free spraying and operation. Its pump for the sprayer can be transferred to either side to accommodate left or right handed use. Moreover it is easy to use at it comes with a continuous spray feature, and multiple nozzle tips. It also comes with a strainer that allows the spray solution to remain free from other chemicals and particles. And because it manufactured by a brand known for heavy-duty products, this backpack sprayer promises to be your heavy duty partner in spraying your lawn , garden, mini orchard, or hobby farm. The Chapin 63895 is one of the most convenient backpack sprayers to use in the market today. Apart from it being motorized, it can reach a bigger area thanks to its longer length of horizontal spray stream. The same features allows maximum spraying coverage minus the extra work. Continuous spraying can last for almost two hours. This four gallon tank is also very easy to fill and clean up because unlike other backpack sprayers, it comes with a wide mouth. It has three nozzles that can be used in various applications. It is also very comfortable to use because of the cushion grips that it has, plus deluxe padded shoulders that will not cause body aches and pains in spite of longer use. This garden backpack sprayer is one of the higher rated sprayers in the market today given its efficiency and convenience when it comes to spraying the garden or the lawn. This great-performing piston pump can reach up to 90 psi, allowing effective spraying and better coverage. The four nozzles that it comes with allows for multi-use. The Solo 425 is also a professional grade pump that is meant for heavy-duty use. The Viton seals, properly positioned in key areas within the pump ensure that the pump is highly durable and can be used for a longer period of time. This four-gallon backpack sprayer also comes with outstanding ergonomic features that is further complemented by interchangeable left and right hand operation. Four Gallon Capacity, Diaphragm Type and Manual Pump. Four Gallon Capacity. Piston Type, Manual Pump. Four Gallon Capacity, Motorized, 20-Volt Lithium Battery Operated Pump. It comes with an internal agitator system that ensures that even powdered solutions remain mixed in. It is also high-pressure given the internal pressure chamber system, allowing for better spraying power. Comes with four spray nozzles that allows the user to use the sprayer in many ways, and has a longer extended sprayer. It comes with a strainer that allows the spray solution to remain free from debris and other particles. It comes with multiple tips for its multi-purpose nozzles. Moreover it comes with a large pump that quickly pressurizes the solution. It comes with a maximum 35-foot maximum spray stream that allows less effort for the user to reach farther areas. It comes with three nozzles that allow for multiple applications. Has a removable filter to ensure that the debris will not mix up with the spray solution. Can greatly handle even the harshest gardening and lawn chemical solutions. It is one of the most recommended pumps in the market because it is able to generate a higher pressure, allowing the sprayer to have a more extended reach. Its nylon-reinforced hose is extra-long, allowing for a longer reach, that will minimize needed movements to cover the rest of the working area. Comes with four types of nozzles that make it a highly useful backpack sprayer. It ensures no-leaks saving your skin from exposure to harmful chemicals, thanks to its internal pump and one way valve. It also comes with an automatic shut-off mechanism. It just has the standard safety features of any backpack garden sprayer. It is light lessening muscle strain, and body aches. It just has the regular safety features of standard sprayers. The ergonomic features of this backpack sprayer is a major safety feature of this backpack sprayer. Apart from that it has the standard safety features of regular backpack garden and lawn sprayers. It is ergonomically-designed, lightweight, and very convenient to use. The padded straps, back pads, and waist-belt help ensure comfort during use. It weighs 13.15 lbs. and has a trigger that is easy to use protecting the user from strain from repetitive movements. It is one of the lightest pumps in the market today, at just 10.4 pounds. It is ergonomic and is designed with shoulder straps that are comfortable enough in the shoulders. The pump can also be transferred from one side to another to accommodate left or right handed preference. Even if it is a motorized pump, it is amazingly light at just 11.82 lbs. You would not have to pump as well because it is motorized or battery operated. It also comes with a comfortable grip for spraying that is cushioned. It also has plush deluxe shoulder pads for carrying ease. The cushioned spray handle also paves the way for better comfort. While it is the one of the heaviest backpack sprayers in the market today, the Solo 425 made it up to its users by coming up with comfort features enough to minimize the strain that users may experience with the backpack sprayer. It also comes with an interchanging handle to accommodate a left or right handed operation. The straps are also padded to ensure maximum comfort while working. It is so convenient to use in view of its four-gallon capacity, extended wand, four extra nozzles, spray holder, and transferrable pump handle to accommodate right hand or left hand preference. It stands on its own, such that when one needs to lay it on the ground to attend to something, the solution will not leak. The package comes with an extra bronze nozzle. It has a continuous spray mechanism allowing for better spraying and coverage. It can spray continuously for almost two hours which is equivalent to fifty gallons worth of spray liquid. This frees the user from manual pumping which can cause strain. It comes with a wide-six inch mouth that allows for easy filling of spray solutions. This pump is very convenient to use as it is high pressured, allowing the user to spray plants on a wider area without having to exert a lot of effort. Its opening is extra bigger than standard manual pumps to ease refilling. This particular opening has a filter that ensures that the gardening solution will not be tainted with debris. The downside though is that it is the heaviest in the market as it weighs 14 lbs. It is a professional-grade backpack sprayer that can be used whole day minus any inconvenience. Since it ias made with top notch quality Viton Seals, it can withstand any type of chemical, even those that are known to be corrosive. It is made of Metal and Polyethylene. Like most backpack sprayers in the market it is made of Polyethylene and Metal. It comes with a bonus brass nozzle that is heavy duty. As a product manufactured by a brand well-known for its durability, the Stanley Backpack Sprayer is expected to be durable. Better sustains wear and tear given its metal and polyethylene construction. Its lithium battery is manufactured by Black and Decker—a leader in power tools and equipment. It is made of metal, nylon and High-density Polyethylene, ensuring long service and maximum durability. This pro-level pump is made with high-quality materials that are meant to stand the harshness of even the most corrosive spray solutions. It is UV Resistant as well effectively holding various gardening and farming spray solutions, plus cleansing formulas when needed for that purpose. It is one of the higher-priced backpack garden sprayers in the market today. It comes though with a one-year warranty. It is a mid-priced pump that comes with a lifetime limited warranty. Since it is a product with a high brand recall, good customer service is a hallmark feature. It is the most expensive among the four pumps in this article and mainly because it is the only motorized pump that we reviewed. Compared however with similar motorized pumps, this pump is moderately-priced. This backpack sprayer comes with a limited one year warranty. As for the pricing, this particular backpack pump is moderately priced, as it is more expensive compared to similar manual pumps in the market. All the pumps in this review have received stellar feedback from their respective satisfied customers. However after this evaluation, we have decided to share with you what we find to be the Best Over-all Backpack Pump and Best Value-for-money Backpack Pump, considering the factors that we have mentioned earlier. Our Best over-all backpack pump is Chapin 63985 Powered by Black & Decker given its power, durability, and over all comfort and convenience features. As for the Best Value for Money Backpack Pump, we give this title to Field King. Apart from the great garden spraying features, it is a professional grade heavy duty backpack sprayer that is very safe to use. The no-leak mechanism ensures that the spray solution does not only gets wasted. It makes sure that your skin will not be exposed to harmful chemicals while working on the garden and the lawn. Cold weather is not the only thing just around the corner. You never know when disaster will strike… from a devastating natural disaster to civil unrest and chaos. So, just because cold weather is around the corner doesn’t mean you need to put away your rake, soil and seeds. For most gardeners, the late fall brings the last harvest of the season, but if you prepare your vegetable patch properly, you can continue to produce quality food for your stockpile through the frost and beyond. Here are some tips to help you reap the rewards of your survival garden this winter. If you don’t have the right type of outdoor soil for gardening or you simply don’t have the space, you can grow certain types of vegetables inside during the winter. In many cases, if you have the right amount of sunlight in your home, you can grow all of the winter crops in a container, including lettuce, herbs, peas, carrots and radishes. If you’re short on sunlight, you can invest in a halide lamp, which will offer your plants more light. If you’ve ever planted seeds for winter friendly items and yet you get no results, it could be that you ignored your seed’s stratification requirements. “Many plants that were originally grown in cold weather have evolved to develop a natural understanding to survive by requiring a six-month cold period before they will sprout,” says Tony Avent. “A stratification period is normally three or six months, depending on the plant. 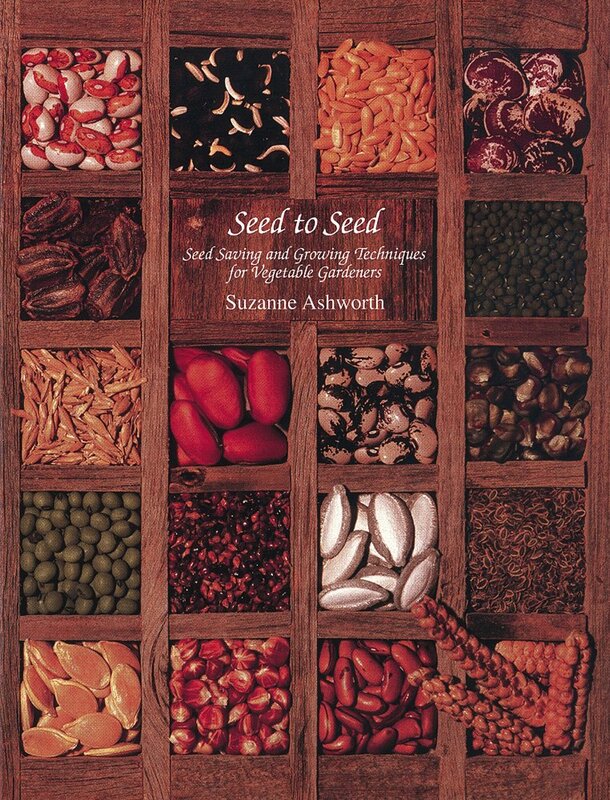 You’ll sow the seed, and then it will require that many months of cold weather, typically below 40 degrees, before it will come up.” The stratification period varies from plant to plant, so you’ll want to investigate how many chilling hours your particular plant requires by investing in a good seed book that will delineate the stratification period of each seed, Avent advises. The late autumn yield from your garden should still be rich with tomatoes, peppers and peas, especially if you picked the first round in late summer and quickly repaired and replanted in your beds. These canning and stockpile essentials can be kept hardy even through a light frost with a portable greenhouse or homemade covering. Many nurseries and hardware stores, in addition to online seed companies, offer several inexpensive covers for winter seed and frost gardening cultivation. Make sure you scoop out the seeds from these fruits and vegetables, allowing them to dry for up to two weeks before storing. Your family table should be topped with squash, pumpkin and cucumber delights from your earlier harvest right now. It’s essential that you collect the seeds while preparing or dividing these vegetables and gourds for your pantry. Occasionally, gourd and squash seeds do not produce the same quality season after season, so it’s always a good idea to purchase new seeds just in case. Pumpkin seeds are also a wonderful cold day snack when toasted over a fire and sprinkled with salt; thus, they do the double duty of being both a future crop and treat. Most greens used both in salads and for cooking will flourish in a cold climate, and they can be counted on in bleak times to bring a bounty of healthy food to your table and pantry. “Turnips, lettuce and collard greens will grow very well in winter,” says Tony Avent of Plant Delights Nursery in Raleigh, North Carolina. If you haven’t already, now is a good time to sow your leafy greens seeds. To ensure plentiful results, plant a variety of cold-loving greens. It’s a good idea to cover the soil with a light mulch to keep the dirt around the seeds warmer from frost. The greens will thrive in a colder climate, but a covering might prove helpful to increase the produce yield. With a watchful eye and careful touch, your survival garden will be full of lettuces all winter long. After you have harvested your fall crops, you can begin “overwintering” your garden. Overwintering means planting and preparing your beds for your early spring vegetables. After you adapt the recently harvested soil, root and bulb vegetables like carrots, turnips, beets, onions, garlic and rutabagas are all excellent products to sow in your space for overwintering. They will need to be in the growing process before you cover the soil with a layer of mulch and may look lackluster and dreary for a while. Broccoli and cauliflower as well as leafy greens like spinach, kale and chard can also be planted now. When the days begin to get longer and winter is waning, your survival garden will begin to emerge again with many tasty veggies. As the temperatures begin to rise and only a light frost comes at night, it’s time to brush away the heavy dirt and let your plants grow. Your winter garden will produce an early spring harvest and a bounty for your disaster pantry. Because you never know what is just around the corner. You’ve planted your tomatoes and harvested the delicious results all summer, only to assume that you would have to rely on your canning and jarring to get you through the winter—but then you discover a fresh tomato on the vine—in November! Many gardeners experience this anomaly, often the result of a warm autumn or placing the tomatoes in a well-lit area. These harvests are safe to eat, although they may not taste as delicious as the summer crop.